loyalty programme, Changi Rewards, offering exciting new rewards and exclusive benefits for members who shop and dine at Changi Airport. 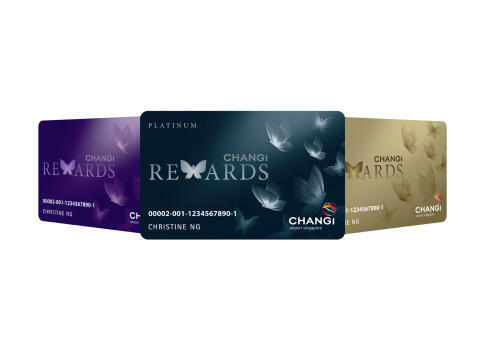 The refreshed Changi Rewards features a new programme structure based on three membership tiers – Regular Member, Gold, and Platinum. Members enjoy greater returns and more privileges as they move up the tiers. Regular members earn one point for every dollar spent at Changi Airport, while Gold and Platinum members enjoy the extra perk of receiving double and triple points respectively, for every dollar they spend. Members who achieve Platinum status, the most premium membership tier, will be rewarded with a bonus of 25,000 Changi Rewards points or 8,300 Krisflyer miles upon qualification. programme, at the rate of 3,000 Changi Rewards points for 1,000 Krisflyer miles. To make things even more exciting, three pairs of Singapore Airlines air tickets will be given away every week, in a lucky draw for members who spend at least S$30 nett in a single receipt. Regular members get one chance in this weekly draw, while Gold and Platinum members enjoy five and 10 chances respectively. The Changi Rewards programme augments the attractiveness of Changi Airport’s retail value proposition for its visitors. Members will be able to earn points at almost all the shops and restaurants located in both the transit and public areas, and enjoy rebates as they go along – making it especially rewarding for them to shop and dine at the airport. In addition to the tax and duty-free savings that Changi’s passengers enjoy when they fly, shoppers enjoy 7% GST savings even in the airport’s public areas, as a result of CAG’s GST absorption promotion. As an illustration, Platinum members can enjoy up to 10% savings on their purchases airport wide. 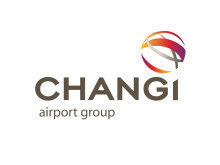 Membership applications for Changi Rewards can be made online, or at the Changi Rewards booths located within the Departure Transit Malls of each terminal, as well as at the public area of Terminal 3, Basement 2 (opposite NTUC Fairprice). To apply, or to find out more, please visit changirewards.com. 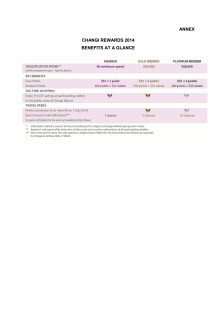 Applies to members who achieve the Platinum tier based on their annual nett spend from the 2014 programme year onwards. Please refer to changirewards.com for excluded stores and outlets. Conversion of points to air miles begins 1 July 2014. 7% GST savings + 3% rebates (in the form of Changi Reward points).